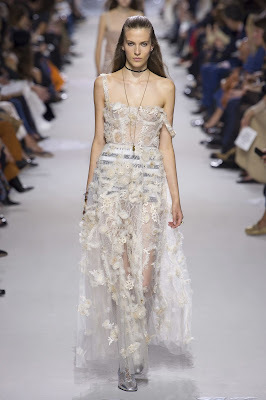 I honesty can not stop obsessing over Dior's new collection ever since I have watched the live stream of this insane runway show. It was so worth skipping third period :) Ever since Maria Grazia Chiuri became the creative director of Dior, she has turned this classic brand into an iconic brand with stunning silhouettes and surprises in each one of her designs that you see worn all over the red carpets and to some of the most famous events. Ever season, Maria seams to impress us with her interpretations of todays trends and creating trends that everyone is soon to follow. In her spring '18 fast fashion show, it seemed as if the future had been predicted in a 10 minute runway show. There was color, patterns, the iconic embroidery, tulle, and even what seemed to pieces from a disco ball. 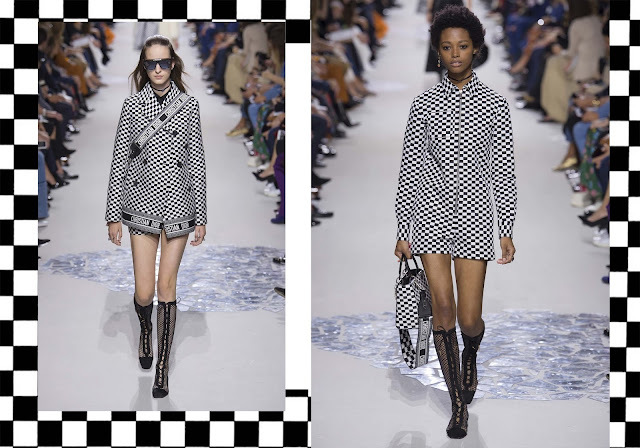 Ever since I watched the show, I have noticed how little pops of color and patterns have been more worn on the streets and how people are already climbing aboard the new trends Dior shared with us this season. I have even found myself adding little bits of and pieces of color in my outfits. One of my favorite pieces from the collection would be the classic spin on the new famous silhouette Dior has been putting out on the runways these past few years. This spin on this silhouette was a little bit more edgy than from the past couple of years which is why I think I loved it so much! I love the shuttle pleating on the skirt overlay and the full on leather look. 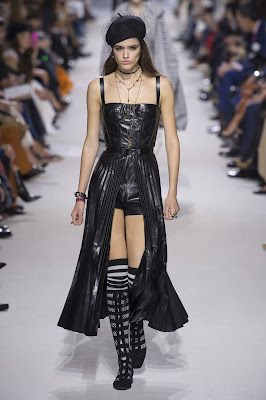 I have not been a person who leans towards the shade of black for quite some time, but after seeing this show, it made me become obsessed how it can make about any color pop and complete any look. 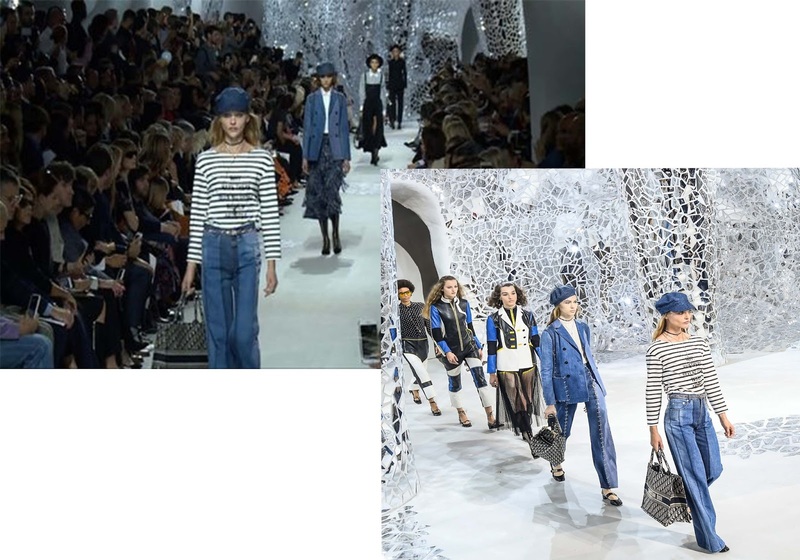 Overall, I would have to say this is one of my favorite shows Dior has put on and I am so exited to continue to follow this brand and see how it evolves with Maria Grazia Chiuri.